Home/Smoking Accessories/Portable Vaporizer and Desktop Unit? Whats the Difference? 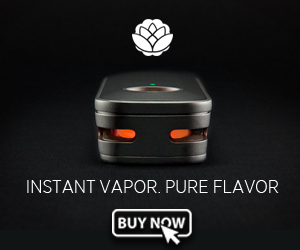 Portable Vaporizer and Desktop Unit? Whats the Difference? Portable Vaporizer and Desktop Unit? The simplest difference between a portable vaporizer and desktop unit is also the most obvious. Portable vaporizer is smaller and lighter. You can carry it around. A desktop unit is bigger and heavier. It needs to be stationed at one place. Portable vaporizers are powered by batteries and hence you don’t need to keep it plugged into a socket to vape. A desktop unit will have to be plugged in, unless it also has a battery that has enough juice to power the vaporizer. Beyond these simple and obvious differences, there are many technicalities that you must consider while choosing between a portable vaporizer and desktop unit. Let us explore those differences. Vaping is all about the experience. Both portable and desktop vaporizers have their pros and cons in this aspect. A portable vaporizer is a handheld device. You can hold it in one hand. Some are so light that you can hold them with two fingers and not feel any discomforting weight. Portable units usually have ergonomic designs so they look trendy and cool. You can vape wherever you want and whenever you feel like. You can vape in your car, at a public place, while you are hiking or when you are spending a few leisurely hours at the beach. All these experiences are not possible with a desktop unit. A desktop vaporizer is not discreet. It is large and it cannot be moved around with ease. You are thereby confined to the place where you set up the unit. However, you can move from one room to another if you use a bag vaporizer. You can fill up the bag with vapor and use it over a period of time. This bag is not discreet either. You would still need to be in the confines of your home or room. A portable vaporizer can be tucked inside a bag, glove box, drawer or even the pocket of your jeans or shirt. Most portable vaporizers come in sleek cases. The vaping experience is not just about how you use a vaporizer. The quality of vapor matters and for many it is the singularly most important factor. Both desktop and portable vaporizers have come a long way in recent years. The technologies have evolved and both types produce quality vapor. However, a desktop vaporizer is substantially better than a portable vaporizer in this regard. This is simply because of the plethora of features and absolute control you can enjoy with a desktop unit. A desktop vaporizer has a more portent and larger heating changer. It runs on electricity so it can draw much more power than what a battery can provide to a portable vaporizer. You can load up much more herbs, cannabis, waxes or oils into a desktop vaporizer than a portable unit. A desktop vaporizer has a vast range of temperature and you can control the exact level of heat that is needed to produce the quality of vapor you want. There are many features in the desktop units that make it easier to produce lots more vapor with specific herbs, blends, waxes and oils than a portable vaporizer. The vapor would be denser and it would be more aromatic and flavorful. Portable vaporizers can produce enough vapors that are flavorsome but it cannot match that of a desktop unit. A desktop vaporizer can be used by more than one person at the same time. There are some companies that make large enough units to hold enough vapors in a bag for four to six people. This is not possible with a portable vaporizer. You can use a portable vaporizer for group vaping but the battery will die sooner or later. You can use your car charger or some other source of power to recharge the battery. However, the battery will degrade with more frequent discharging and recharging, compelling you to buy new batteries. If your objective is to socialize while vaping, you must consider a desktop vaporizer. If you do not intend to socialize, then a portable vaporizer may be better. It is a turnkey solution. A desktop vaporizer is capable of producing more vapors but it also takes more time to heat up. A portable unit will heat up instantly and it will start producing the quantity of vapor you need almost instantaneously. When you are vaping on the go or while working, you cannot allot ten minutes or longer for a desktop vaporizer to heat up the herbs, cannabis, waxes or oils so you can start vaping. 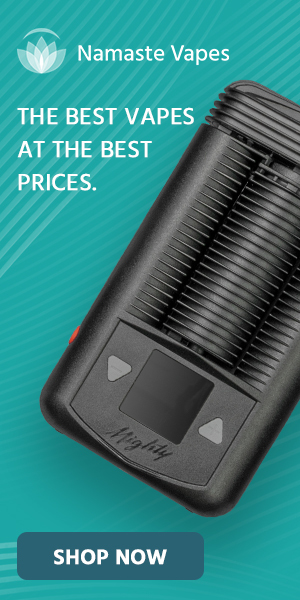 Portable vaporizers are more affordable than desktop vaporizers. You may be aware of how cheap vape pens are but it is unfair to club all portable vaporizers accordingly. There are some premium portable vaporizers that cost a substantial amount of money. If you are looking for a good quality portable vaporizer then you would have to pay closer to what desktop vaporizers cost. You cannot compare the quality of vapor produced by desktop units with that produced by the cheapest pens. Both desktop and portable vaporizers are undergoing substantial transformation. From the type of battery to the materials used in the heating chambers to the concoction of juices and liquids or blends, every technology pertaining to vaporizers is evolving as we speak. Portable units will get better but they may not be able to match the quality, density, flavor and aroma of vapor that desktop units produce in the foreseeable future. Desktop units are getting smaller by the day but the sleeker they are, the more they would lose their traditional strengths. Portable vaporizers are not compatible with every type of material you may consider using. Desktop units also have their compatibility issues but they are usually more inclusive. Many portable vaporizers and all the cheaper ones will be compatible with only the cartridges or atomizers that the brand makes. Portable vaporizers that can be used for herbs, cannabis, waxes and oils would cost slightly more.